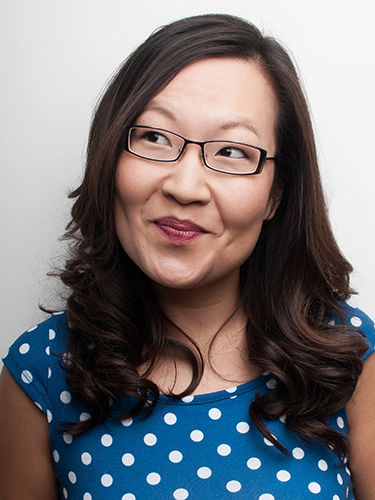 Helen Hong is a comedian who has performed on The Arsenio Hall Show, Last Call with Carson Daly, Gotham Comedy Live and Comics Unleashed with Byron Allen. She is a regular panelist on the NPR news quiz Wait Wait Don’t Tell Me. Helen was featured in the Coen Brothers' film Inside Llewyn Davis, and is a recurring character in two series, The Thundermans on Nickelodeon and Blunt Talk on Starz. Helen has also had roles on Parks and Recreation, Pretty Little Liars, New Girl, Scream Queens, and Inside Amy Schumer. She's so NOT gluten-free.